Click on the picture to take you to an uber-cool wind map of the United States. 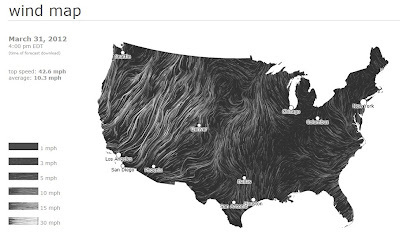 The wind map is a personal art project that maps and puts into motion surface wind data from the National Digital Forecast Database. These near-term forecasts, revised once per hour, create a living portrait of the winds of the U.S.